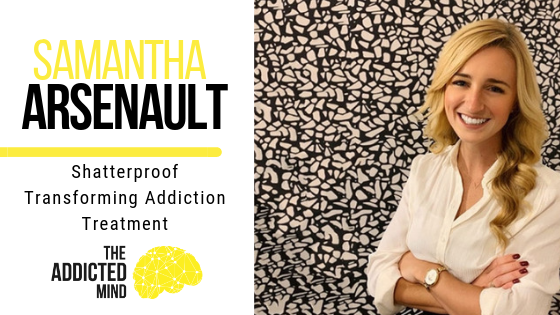 Our guest on this episode of The Addicted Mind podcast is Samantha Arsenault, Director of National Treatment Quality Initiatives at Shatterproof. Shatterproof is a nonprofit organization on a mission to improve addiction treatment through prevention, treatment, education, and advocacy. It was founded in 2014 by Gary Mendell, a businessman who lost his son to the disease of addiction and became passionate about helping other families navigate the broken addiction treatment system. The work of Shatterproof was additionally spurred on by the 2016 Surgeon General’s report that showed empirical evidence that substance use disorders and other addictions can be treated effectively, but there is a significant gap in care available. 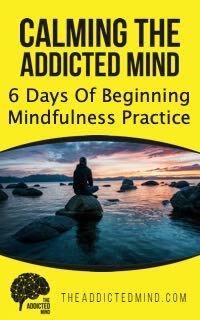 In response, Shatterproof established their National Principles of Care (https://www.shatterproof.org/shatterproof-national-principles-care) to provide individuals and families affected by addiction with some helpful guidelines about what to look for in an effective treatment program. In fact, they are using these National Principles of Care along with treatment program surveys, insurance claims data, and information about the consumer experience to create a rating system of treatment centers in certain states by 2020. This rating system will be a treasure trove of critical information for those seeking treatment and a motivator for treatment centers to improve their best practices in order to best serve their clients. Sam gives the example of someone coming into the hospital for their initial diagnosis and treatment of diabetes. The hospital would not manage their medications, food intake, and activities for 28 days and then send them back home with no resources, treatment plans, or follow up. The same should be true for those being treated for addiction. They should receive individualized treatment based on their specific needs, access to medications, and ongoing support. Shatterproof sees a world where this is the nature of substance use disorder and addiction treatment and they are excited about the prospect of this type of treatment becoming a reality for everyone who needs it. For more information about the work of Shatterproof and resources to help you in your journey, visit their website.